Pets: They make our lives better, but they also make us all kinds of emotional. Sometimes, those are good, happy emotions, sometimes they're moments of pure stress or frustration. Here are 21 emotional moments all pet owners can relate to. 1. 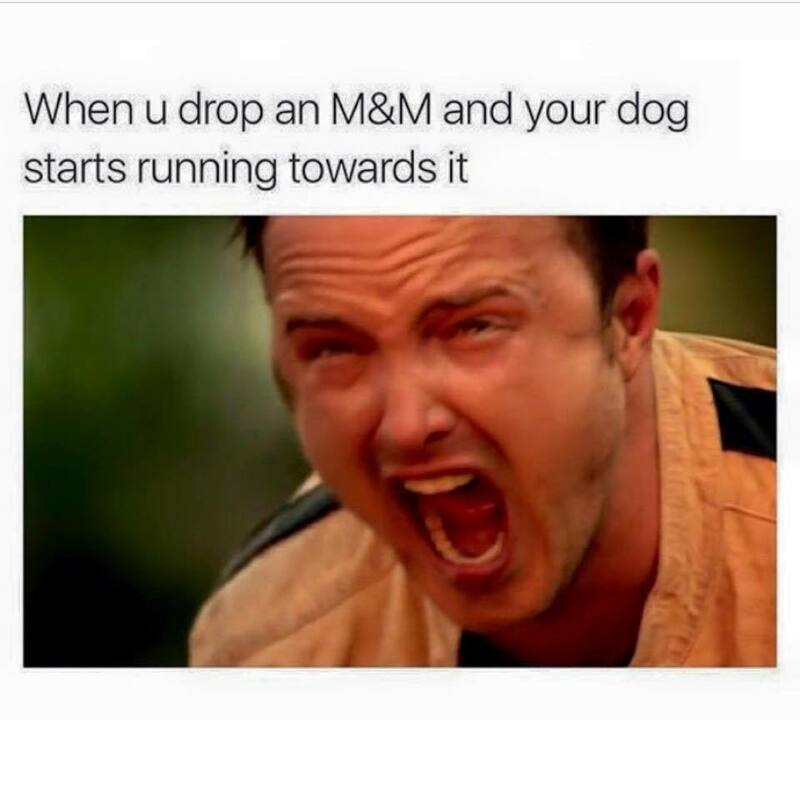 That moment when you drop a piece of food your pet shouldn't eat — and know that you're not as fast as they are. 2. 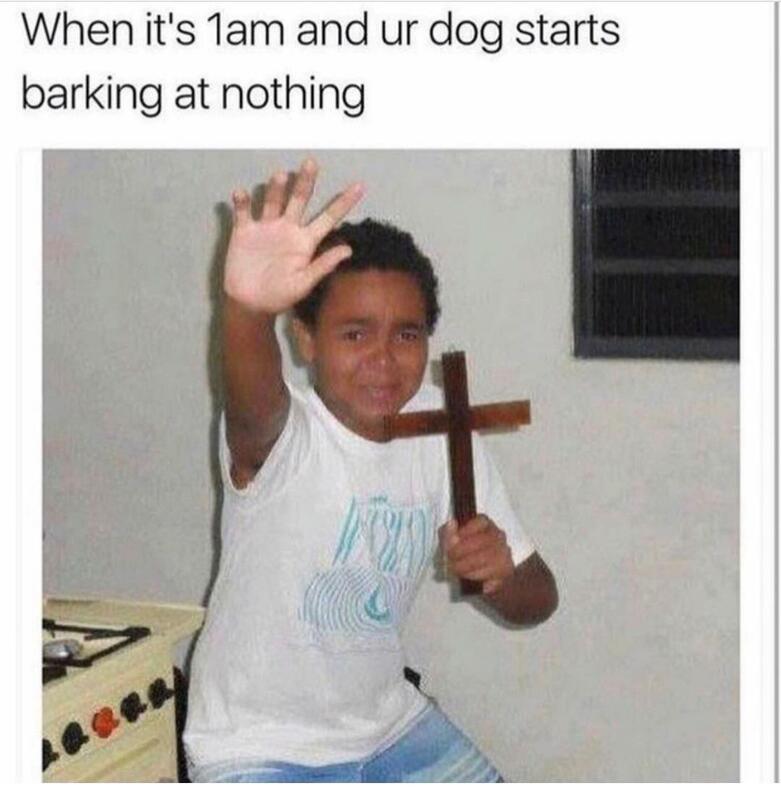 When your dog starts barking in the middle of the night and it makes NO SENSE. 3. That humiliating moment when you accidentally say your dog's adorable breed name wrong. 4. When you realize you work harder at this relationship than they do (but you know that won't change anything). 5. That moment you realize you'd rather be unemployed than stop cuddles. 6. That moment when you realize you'd maybe rather actually die than stop cuddles. 7. When your dog "acts weird" so you call in sick to work and Uber to the vet so you can obsessively read PetMD. 8. When you call in for less than that to be with your pet. 9. That feeling when you think you're having a great moment with your pet and they have other plans. 10. When you think you're having a great moment with your pet and they AGREE! When even your cat knows your comeback was fire. 11. When someone suggests that your pet isn't actually the same as a human child. 12. That moment when you overthink interactions with stranger dogs. 13. When you tell your dog to leave that gross pile of indeterminate food on the sidewalk alone and you can already tell they won't listen. 14. That moment when you regret leaving your dog at home to go to a party a little less. 15. When it occurs to you that maybe you DO spoil your pet too much. 16. That moment when you realize your dog has a best friend other than you. 17. When you break up with someone and have to explain it to the dog. 18. That moment when you realize you've betrayed your dog's trust and you don't know how to earn it back. 19. When you feel annoyed by how human your pet can be. 20. When your pet gets jealous of your computer and the fear sets in. 21. That moment when your dog "rejects" you and life might as well be over. How about a few more photos of adorable pets being funny? Scroll through this list of 19 pets who want you to let them inside and this gallery of pets who are way better dancers than you. But be warned: Looking at cute images of animals has been known to cause an overwhelming sense of euphoria and intense feelings of well being! Do Dogs & Cats Really Know When They’re Going To Die?